The Cornish Engine House is a distinctive structure erected over the past 200 years to house the water pumping engines or winding engines serving the mines below. As a result, they often came in pairs, where the pumping engine (a beam engine) sat over the shaft lifting water out of the lower level, either up to an adit-drained level, or to the surface. The winding engines (or whim engines) were also housed and wound men, ore, or both up to the surface and men and supplies (timbers etc) down to the working level. The engine houses were not just to keep the machinery dry and safe, but provided necessary functional structures, such as the bob wall, without which the beam engine would not be able to operate. The engines were a Cornish necessity and a Cornish invention! They were born out of the creative genius known as Richard Trevithick. He was aware of the pioneering concept to utilise steam by Thomas Savery and later (albeit atmospheric) by Thomas Newcomen; and took it to a whole new level. Trevithick's strong or high-pressure steam applications also led others to be insired, such as James Watt, Samuel Grouse, William Sims, Arthur Woolf etc, to develop the machinery capable of providing the World with the metals society demanded. These days, there are no operational beam engines left in Cornwall and headgear over shafts became modernised to ladder-like steel structures, more akin to the coal mines of the North. Many of the engine houses were also used as target practice after the second world war and blown up by the Canadians or Americans (with permission sadly). So, the remaining structures in Cornwall, although once common place are now incredibly precious. 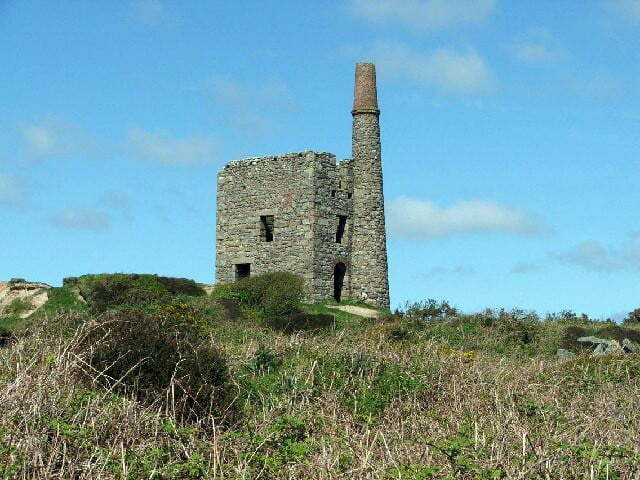 The Cornish Engine House was such a successful structure that it was duplicated elsewhere; some may be seen across the border in Devon (since the geology knew no such bounds) and of course we see them abroad, where Cousin Jack took his skills. Despite this, the Cornish engine house symbolises the culture of industrial Cornwall and is held very dear indeed in these modern times. Given this, you'd imagine that their preservation and protection was a certainty and that they would be cared for as we would our elderly, however, development and progress often have other ideas of importance for these now brown-field sites and actually, they are constanty under threat of dereliction or destruction. Their surrounding infrastructure is often levelled and made-safe, by capping shafts and flattening spoil heaps, which although it is understandable from a safety angle (in terms of locating and capping shafts etc - mining areas are inherently dangerous places) from a geologist's, mineralogist's or industrial archaeologist's point of view, it is just terrible. Did you know, that although Cornwall was mined for commercially viable products such as Copper, Tin, Zinc and Clays, it also yields some very rare minerals and rare earths? Luckily, Cornwall was recognised by UNESCO as a World Heritage Site because of its mining heritage and thus is afforded some protection. We also have the luxury of the Trevithick Society, who are incredibly knowlegeable and experienced guys who champion the industrial history of Cornwall.